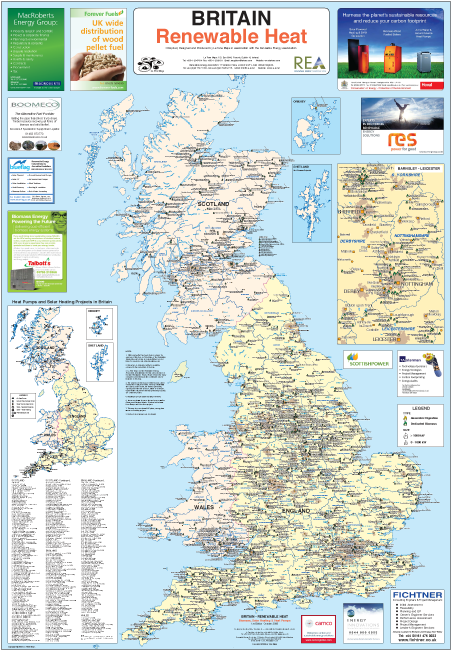 Britain Anaerobic Digestion & Composting Facilities 2nd edition. 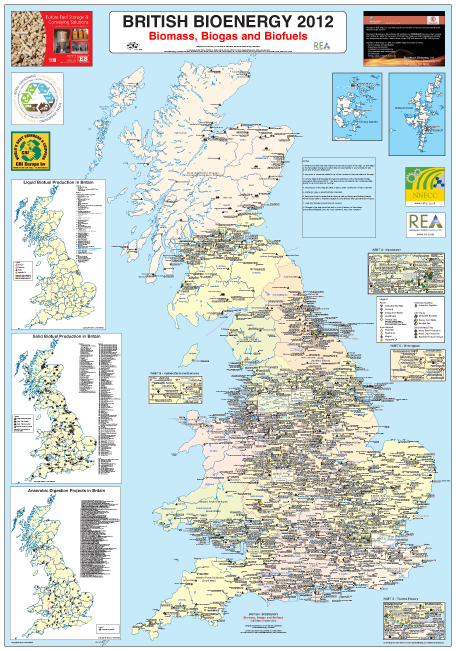 This map is published in association with the Renewable Energy Association (REA) and the National Non Food Crops Centre (NNFCC) and shows all anaerobic digestion and composting rojects in operation in Britain together with the site operator. 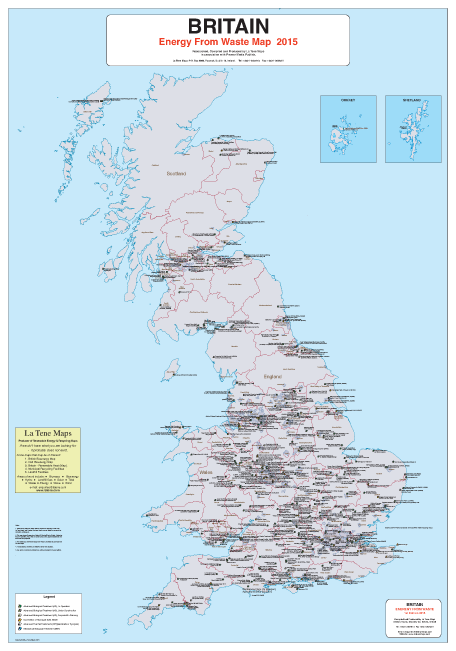 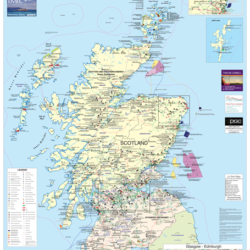 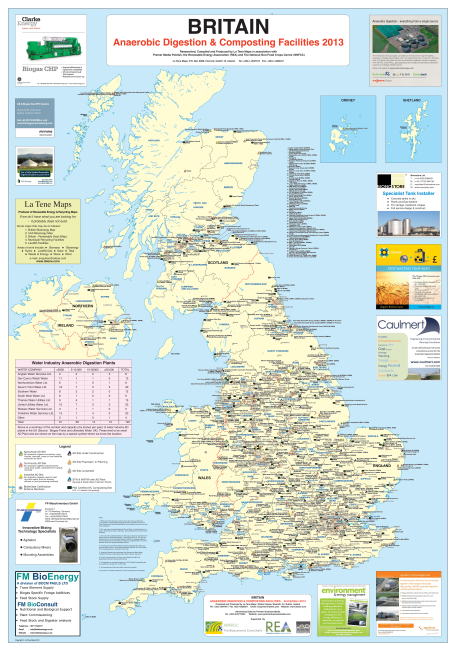 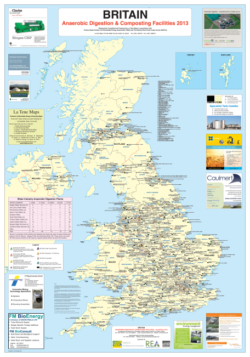 This is the only map published map available to show the complete range of these projects. 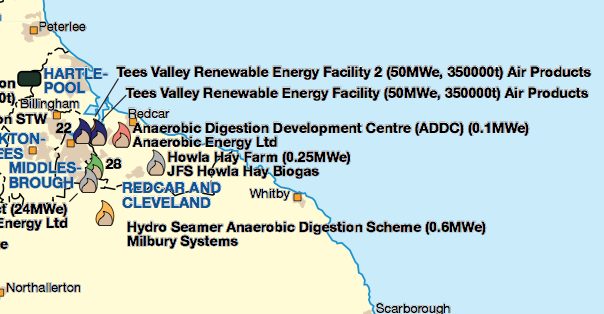 This map follows on from the 2009 British Bioenergy Map which shows Anaerobic Digestion Projects as an inset map.